Birth and death are indelible certainties, pre-ordained by Allah Almighty. It is the interregnum which lays open the bounties and opportunities for everyone to explore. The achievers choose challenging mission as raisin de etre in life, and pursue their dream through qualitative endeavor, strident determination with incontrovertible honesty, personal example and leading from the front with resolute will to achieve success in their mission. They are anointed with Stature of leadership rather than mere Status of rank as head of an institution, community, or even a nation. Status gets buried with the person in perpetuity. Stature achieved through sterling performance in life leaves behind a blazing trail of legacy and a place in the hereafter. Yesterday, a trail blazing meteor like light speeded towards the galaxy’s final frontier. 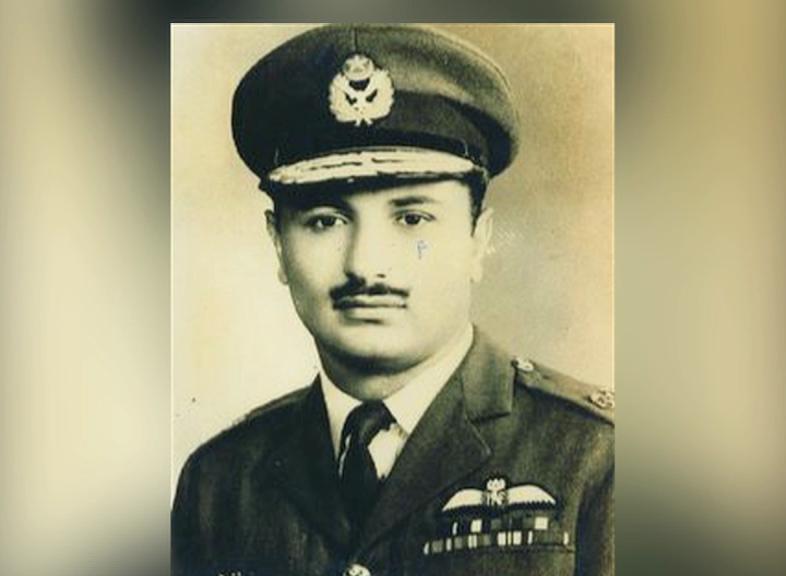 It was the soul of one of the greatest sons of this soil, AIr Marshal Mohammad Asghar Khan, the father of Pakistan Air Force, a fighter pilot par excellence, an incomparable Commander in Chief and one who achieved the stature of leadership in the hearts and minds of all those he surveyed. His indomitable qualities of vision, courage, integrity, inexorable truthfulness, pristine honesty and resolute dedication to his mission in life as a strict disciplinarian were strident in the pursuit and legacy of Quaid e Azam which he imbibed and lived in the highest traditions of an officer, commander, a leader and a sublime gentleman to his last moments. What were the indelible achievements which stood this man of sterling character apart from any other in Pakistan’s history after the Quaid e Azam. Was he a Falcon, an Eagle or an Ukab? He was a manifestation of all three. An outstanding fighter pilot from WW11, The first to fly a fighter jet (Meteor with RAF) captained the first mission into Kashmir in a lumbering Dakota against IAF agile Tempest fighters, and propelled the PAF from a rudimentary Airforce to the firmament of best air forced in the world, within 18 months as the youngest C-in-C in the world, at ripe age of 36 years, PAF under his stewardship created world military aviation record by Formation Aerobatics with 16 aircraft performing loop in front of King Zahir Shah of Afghanistan and a massive crow watching in awe n some defence Diplomats in shock. Soon after on Eid ul Fitr day as the Muslims were in supplication an Indian spy bomber violated Pakistan air frontiers. The early air defence system effectiveness created as his priority policy responded with incredible alacrity and a young flight officer brought the bomber down at 40,000 feet, way above PAF fighter’s operational capability. Both Indian pilot and navigator were taken in custody. Such was the verve, moral high and the professional excellence spawned by AM Asghar Khan, by all ranks to perform beyond expectations. That was the indomitable spirit with which the PAF fought the 1965 War, trained, readied and motivated by Asghar Khan who was allowed to quietly retire in what was an intrigue of national leaders, who were planning war in Kashmir in weeks Burt kept the Air Force C -in -C in dark. But he had honed his successor well and the war was lead by the next best, the intrepid AM Nur Khan. Rest is glorious history of PAF performance. He stood apart in his unmatched achievements which are things beyond the pale of Guinness Book of Records. He followed the beacon which was legacy of the Quaid e Azam and performed even beyond the raison d etre ordained by the Father of the Nation for the Pakistan Air Force “To be second to none”. *The writer is author of the bestseller “Flight of the Falcon”.